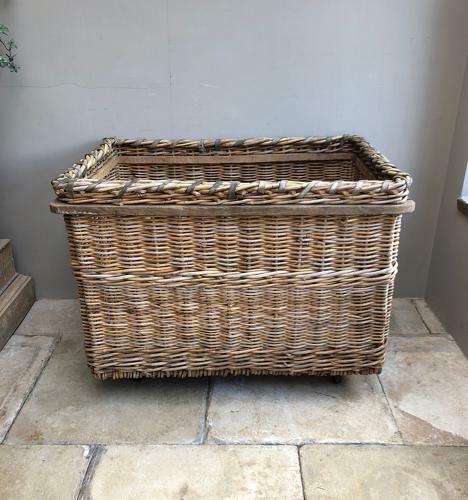 WONDERFUL Condition....Great Size Mill Basket which makes a superb log basket. Velum Leather Bound Top with Oak Surround and Castors added later. These antique baskets are often full of worm but this ISNT...really excellent solid and strudy condition.